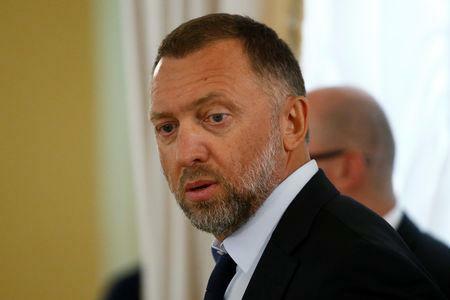 WASHINGTON (Reuters) - In a victory for President Donald Trump, the U.S. Senate on Wednesday rejected legislation to keep sanctions on companies linked to Russian oligarch Oleg Deripaska, including aluminum firm Rusal <0486.HK>. 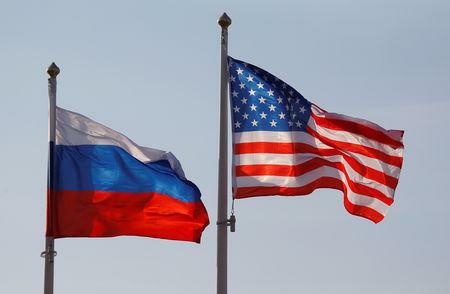 Senators voted 57-42 to end debate on the measure, as 11 of Trump's fellow Republicans broke from party leaders to join Democrats in favor of the resolution, amid questions about Trump's relationship with Russian President Vladimir Putin. That result fell short of the 60 votes necessary to advance to a final passage vote in the 100-member Senate, where Republicans have a 53-47 seat majority. A similar measure will be brought up for a vote on Thursday in the House of Representatives, where Democrats control a majority of seats. But its long-term fate was uncertain. To keep the administration from lifting the sanctions, the measure must pass both the House and Senate and muster the two-thirds majority needed in both chambers to override an expected Trump veto. 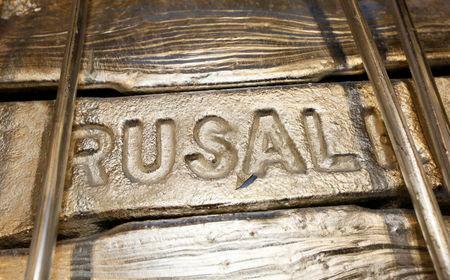 Many members of Congress have been questioning the U.S. Treasury Department's decision in December to ease sanctions imposed in April on the core businesses of Deripaska - Rusal, its parent, En+ , and power firm EuroSibEnergo - watering down the toughest penalties imposed on Russian entities since Moscow's 2014 annexation of Crimea from Ukraine. Hours after Wednesday's vote, the Treasury extended by one week its deadline for Deripaska to divest his holdings in Rusal, En+ and EuroSibEnergo to Jan. 28. The restructurings are a key condition for lifting the sanctions on the companies. Deripaska, an influential businessman close to Putin, himself would remain subject to U.S. sanctions. The Trump administration pushed Republican lawmakers not to support the resolution introduced by Senate Democratic leader Chuck Schumer, which would have prevented the administration from lifting the sanctions. "Forty-two Republican senators chose today to stand with Vladimir Putin," Schumer said in a statement. "I’m extremely disappointed that many of my Republican colleagues are too afraid of breaking with President Trump to stand up to a thug." They said the sanctions on Deripaska would punish him, but lifting restrictions on the companies would avoid potential effects on companies in the United States, Europe and elsewhere. Irish Foreign Minister Simon Coveney welcomed the outcome of the Senate vote, saying he hoped it would pave the way for sanctions to be lifted that affect the Irish company Aughinish Alumina, a Rusal unit. "We respect different views in U.S. on sanctions, but our focus has always been on protecting jobs and livelihoods in Ireland and EU," he said on Twitter. Democrats had been optimistic they would get 60 votes on Wednesday, after 11 Republicans made the unusual break from Trump policies and supported the resolution in procedural voting on Tuesday. Backers of the resolution of disapproval said it was too soon to ease sanctions, given Russia's continuing aggression in Ukraine, the finding by U.S. intelligence that Moscow interfered in the 2016 U.S. election to boost Trump, and Russia's support for the Syrian government in that country's civil war. The U.S. military said on Wednesday that four Americans had been killed in Syria in a bomb attack claimed by Islamic State militants.